Dublin was founded as a Viking settlement in the ninth century, BC. However, as centuries passed from one on to another, this city came under the control of different factions. A great idea to plan educational trips related to the subject area of history. From the seventeenth century, Dublin started booming into a bigger metropolis and as you take your students on strolls around its streets, you cannot but help noticing how history permeates throughout this city. 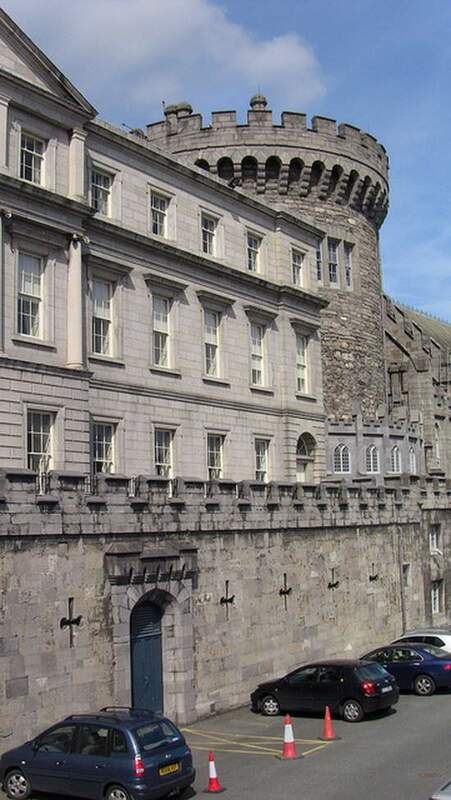 Whether it is the stunning facade of Dublin Castle to the outline of Kilmainham Jail, there is much rich heritage for your students to discover for themselves. Dublin Castle ©2010 by Informatique under a Creative Commons Attribution License. This is definitely a site on which your education trips to Dublin must cover, as the history behind this will fascinate your students. In 1204, King John of England commissioned the building of a major site to beef up the security and defence levels of the city. This building eventually became known as Dublin Castle. Using the river Poddle as a natural means to facilitate better defence along one side of the castle, the other side is abutted the city walls and the fortifications were extremely strong. While not remains of the original medieval structures remain today, your students can still get to learn and sense their presence while exploring the castle and its grounds. Fast forwarding to today, parts of Dublin Castle are used as lavishly decorated rooms – e.g. Throne Room, St. Patrick’s Hall and the State Drawing Room – which are sued by the heads of states to announce policies and entertain foreign dignitaries; another feature for your students to explore. You may also want to plan your educational trips to Dublin to cover the subject area of politics or political history. The Kilmainham Jail was built in 1796 was once the site of many public hangings in front of its gates — as well as inside- that should definitely tickle the fancy of students with a particular interest in all things gory! The prisoners were tossed together with little care for their welfare –e.g. in one cell there would be up to five men, women and even children. The prison was closed in 1924, but it sparked interest during the 1950s, when there was a demand for it to be preserved as a marker of heritage, as many leaders from the Irish independence struggle were imprisoned here. Today, it is home to a museum and remains testament to that turbulent time. A visit to the prison will take your students through that penal history and includes an audio and visual show to help them really get a feel for the prison and its role. This makes the Kilmainham Jail another definite site to factor in when planning educational trips related to the subject area of history and politics.